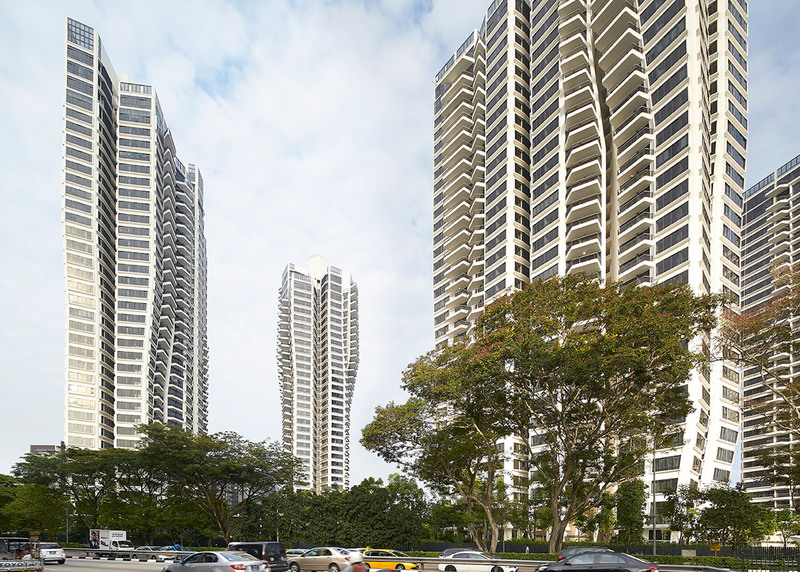 Seven skyscrapers with flower-shaped plans are dotted across this residential complex in Singapore, which was completed by Zaha Hadid's firm before her untimely death last month (+ slideshow). 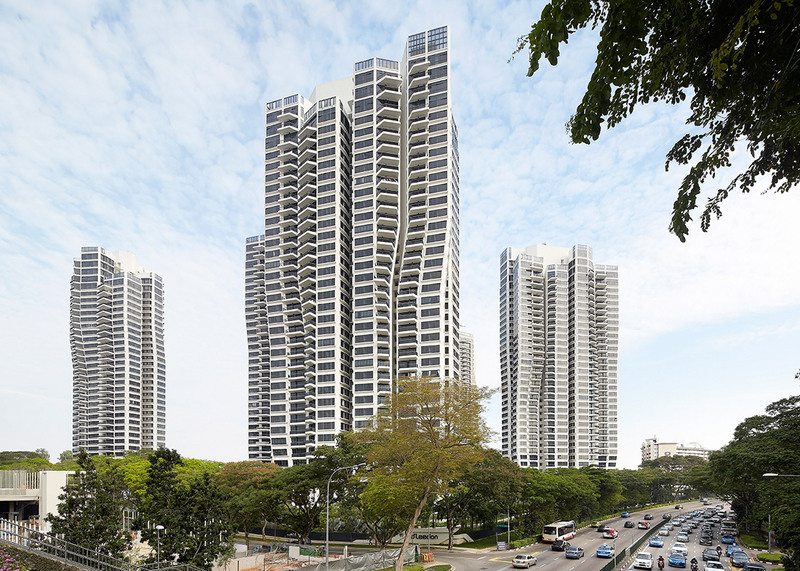 Finished in late 2014, D'Leedon is one of the last projects to be delivered by the Iraqi-born British architect, who passed away last month after suffering a heart attack in a Miami hospital. 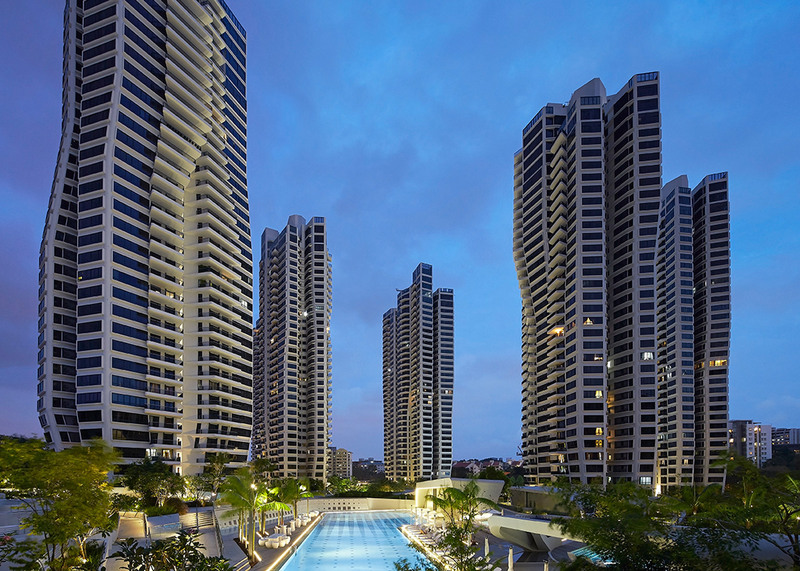 The largest condominium complex anywhere in Singapore, it comprises seven curvaceous towers extending up to heights of 150 metres, a row of contemporary villas, and a wide array of facilities including swimming pools, tennis courts and a labyrinth. 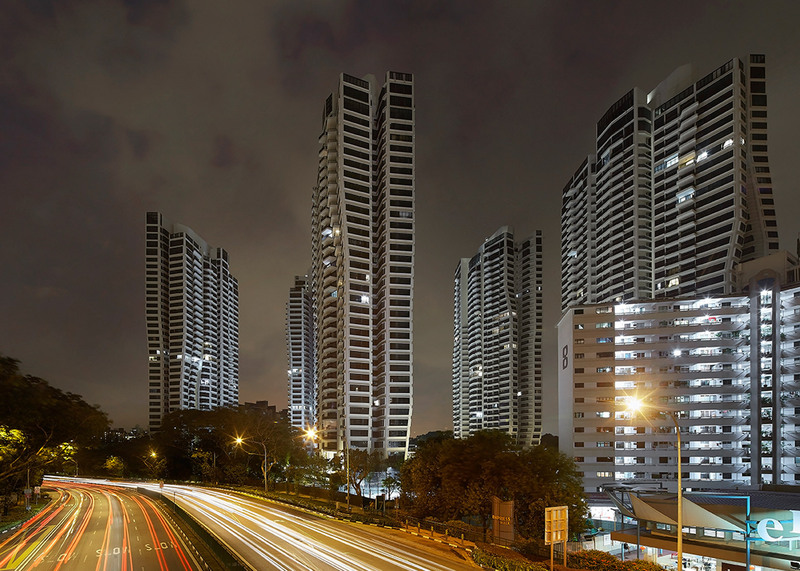 There are 1,715 residential units in total, and these range from small flats and garden duplexes to family apartments and so-called sky penthouses. 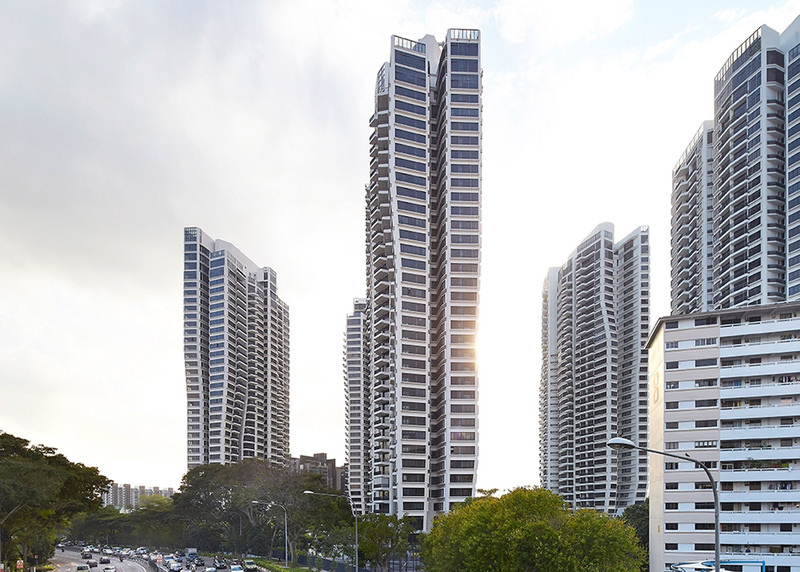 "With D'Leedon, Zaha Hadid Architects explored new possibilities in large-scale residential design, rethinking each element of the design and bringing together concepts of individuality, differentiation and continuity," said a statement from the firm. 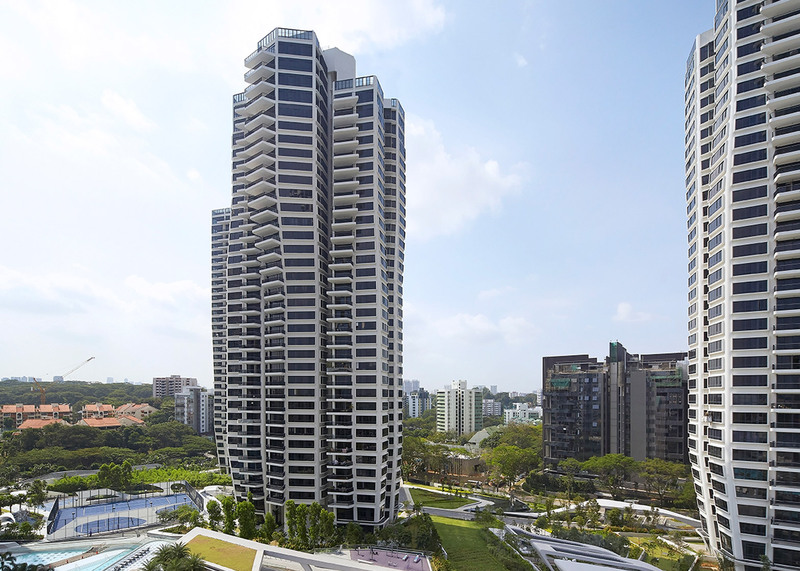 In response to the tropical climate, the seven towers are positioned to minimise sun exposure. They match one another in height, but their unique flower-shaped plans create a wide of variety of home types. 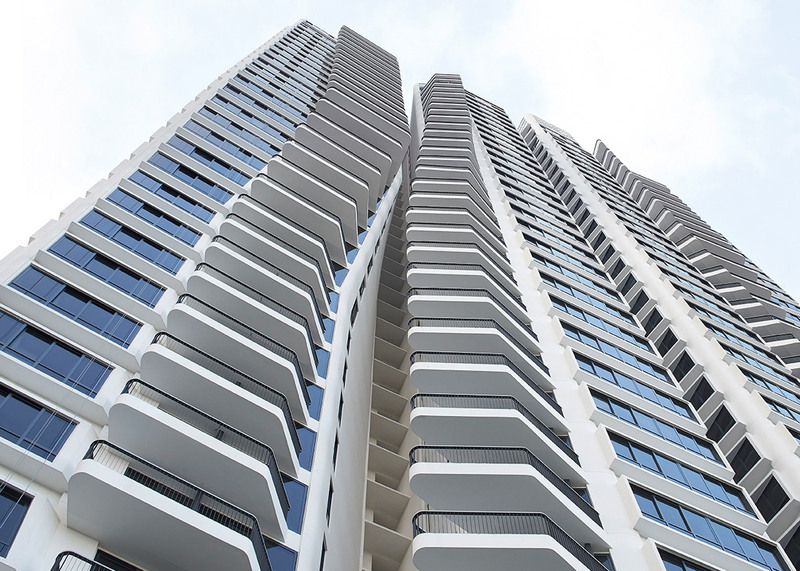 On every floor, each single petal accommodates just one apartment, meaning most homes have views in three directions. This allows all living rooms to open onto balconies, and also brings natural light into bathrooms and kitchens. Floor plans change shape on different levels, and the number of petals per floor varies between tower. Some contain just four large units per level, while others contain six or eight. 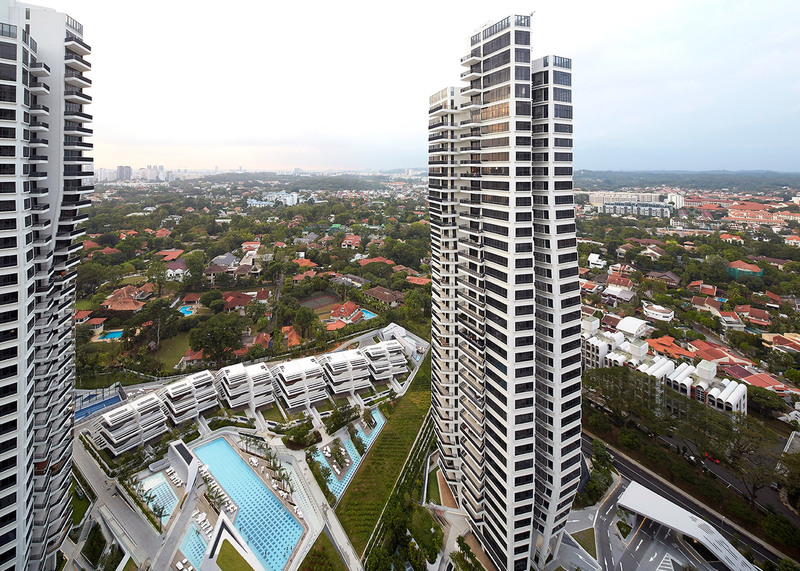 There is also a variation of the six-petal plan, creating 12 units per floor. 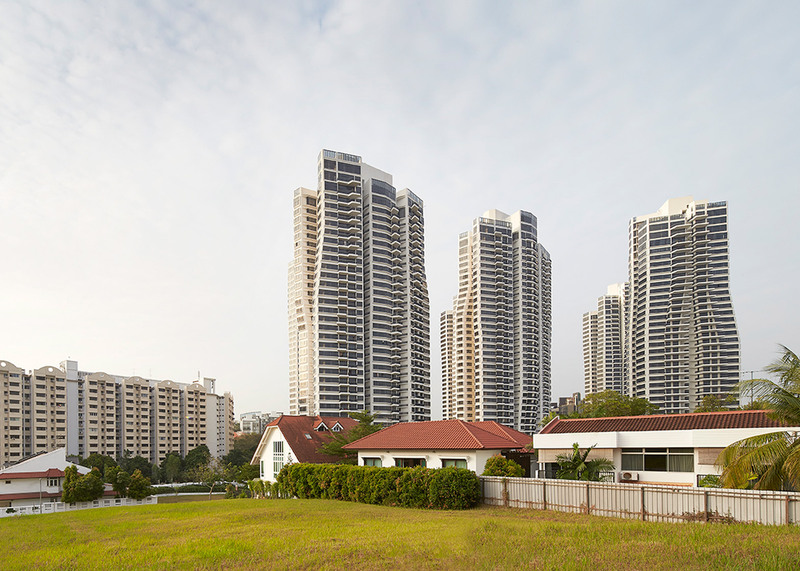 This gives residents the opportunity to buy two connecting homes, which can be combined at a later date as the family grows. In total, there are more than 300 different home layouts. 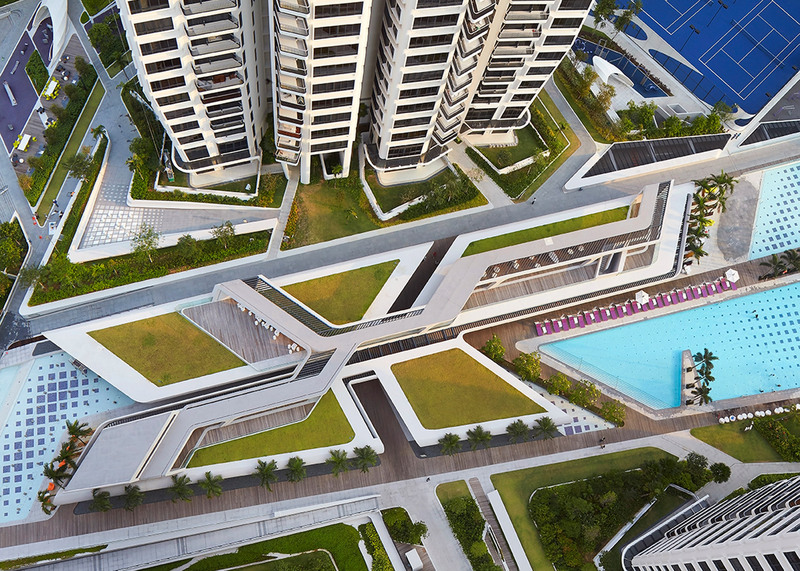 "The generative floor plan of the petal changes shape along the height of the tower in relation to the different configuration and type of residential units," said Zaha Hadid Architects. 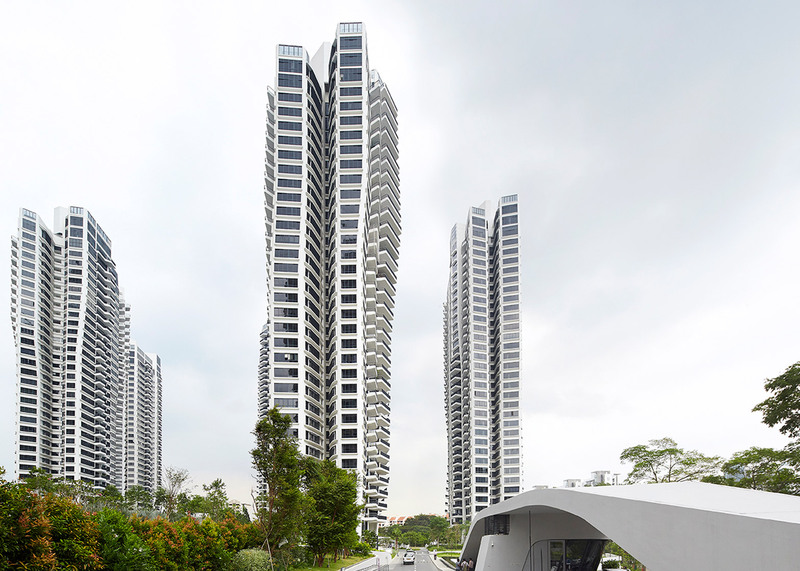 "The changing composition of unit type enables the towers to respond to a series of parameters dictated by site conditions, internal organisation and structural optimisation," added the studio. 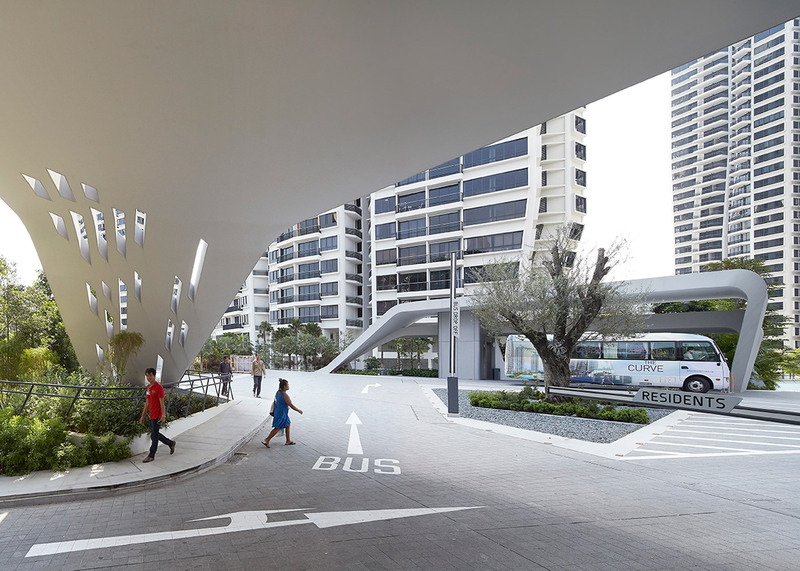 A bespoke concrete shuttering system provides the structure of each tower, making the curved forms possible. 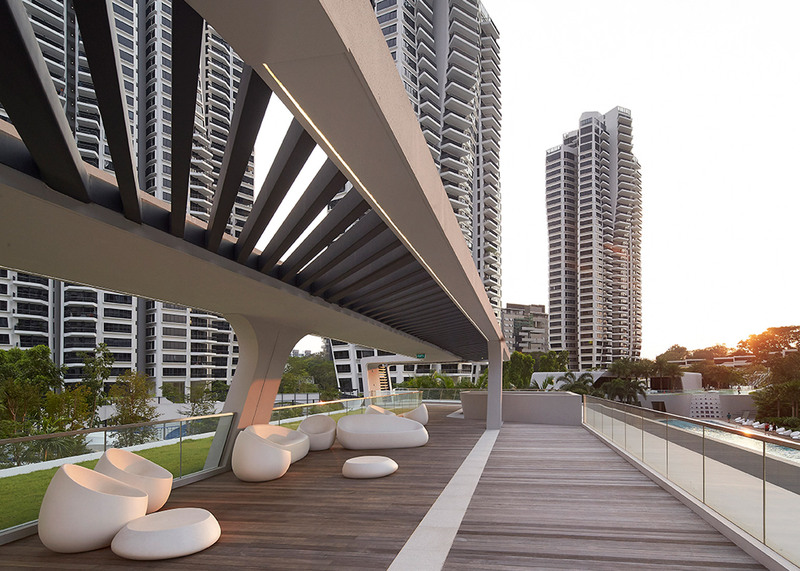 Externally the walls are clad with smooth concrete panels, while concrete balconies and bay windows were cast on site. The towers taper in at the bottom, creating more space for landscaping. 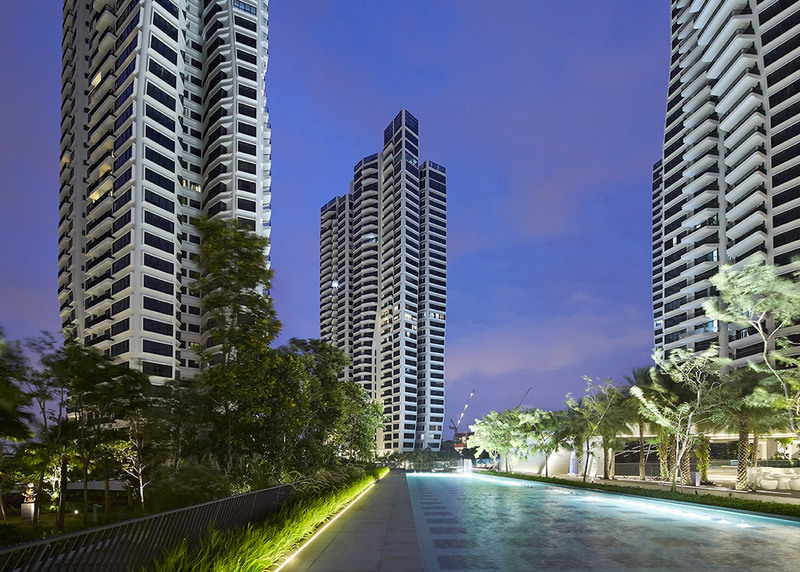 It is on these lower levels that the duplex apartments are located, allowing them to each have private gardens and parking spaces. 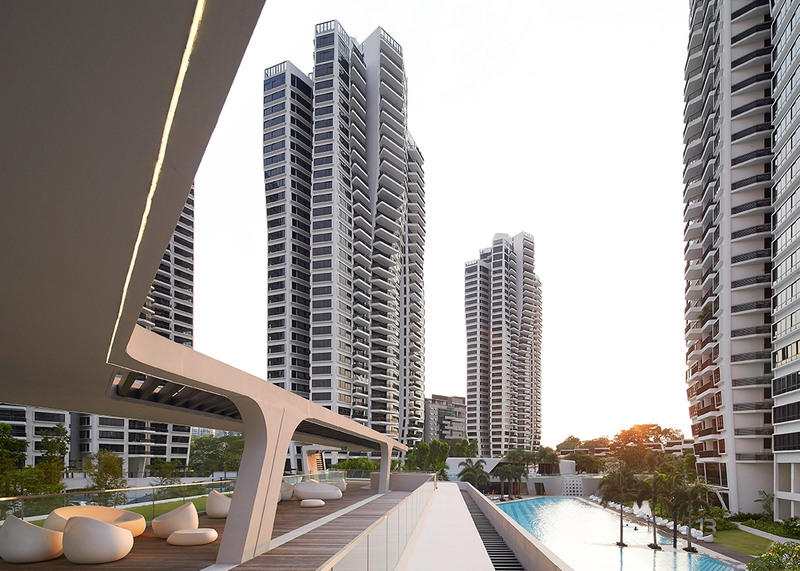 "Through rotating the buildings across the site, and the careful use of balconies and facade panelling, a combination of self-similar towers produce an incredible amount of diversity across the development," said Zaha Hadid Architects. The 12 semi-detached villas are located along the western edge of the site, and are all three storeys in height. 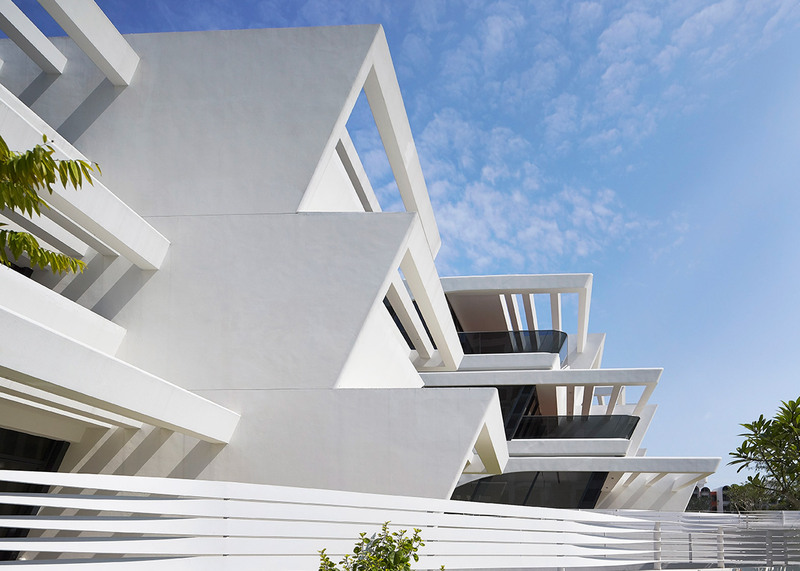 Each one has a staggered profile, creating a series of terraces and balconies. The rest of the site is organised in bands, described by the architects as terraced plateaus. There are five in total, with the names Rock, Forest, Water, Foothills and Meadow. 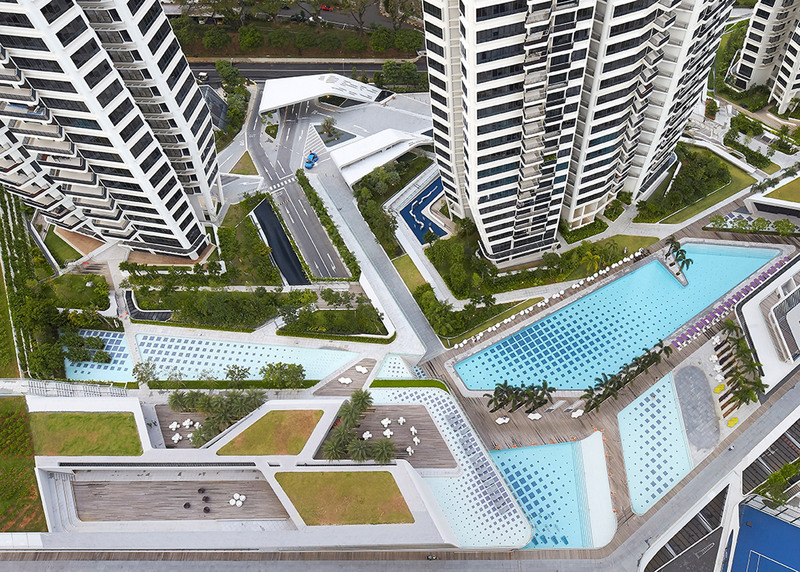 Within these different areas there are various health facilities, including a spa, a large gymnasium, three tennis courts, two swimming pools, and other water features such as a children's play pool and hot tubs. Other notable inclusions are a few shops and restaurants, barbecue areas and the bamboo labyrinth. 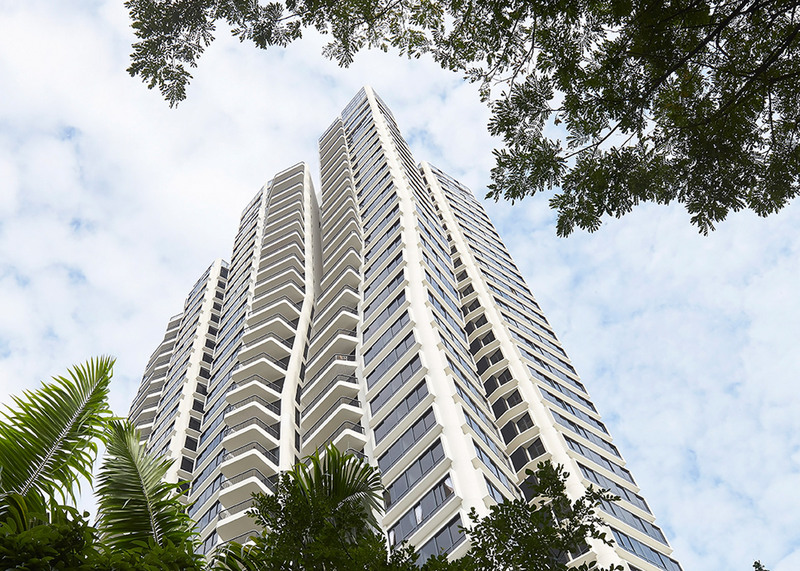 D'Leedon is located west of the city centre, near the Singapore Botanic Gardens. 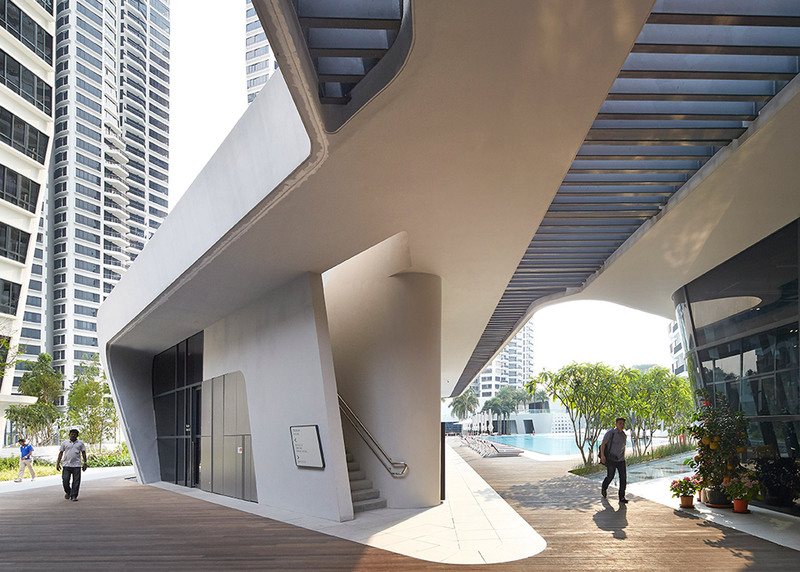 Other major new residential projects on this side of the city include Moshe Safdie's Sky Habitat and Ole Scheeren's reversal of tower blocks, The Interlace. 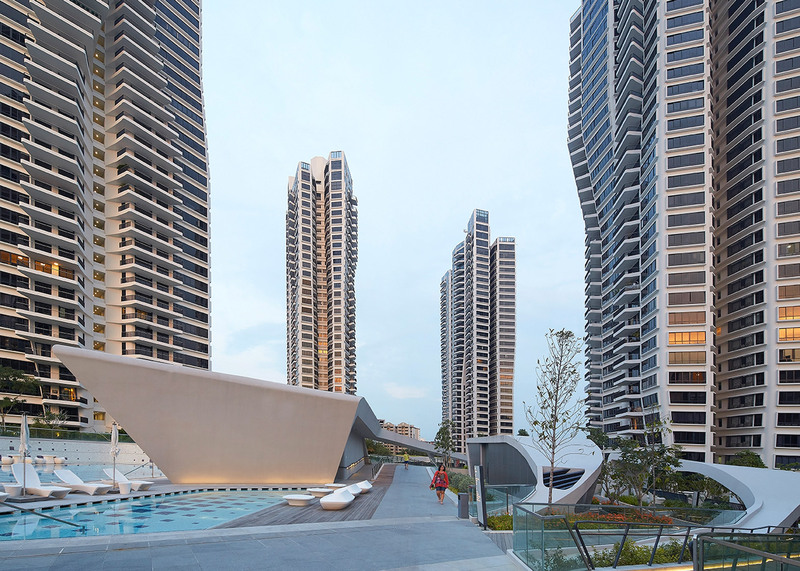 The project is Hadid's first in Singapore, and one of very few housing developments completed by the architect. She was better known for cultural and sports buildings, including the MAXXI museum in Rome and the Aquatics Centre for the London 2012 Olympics. 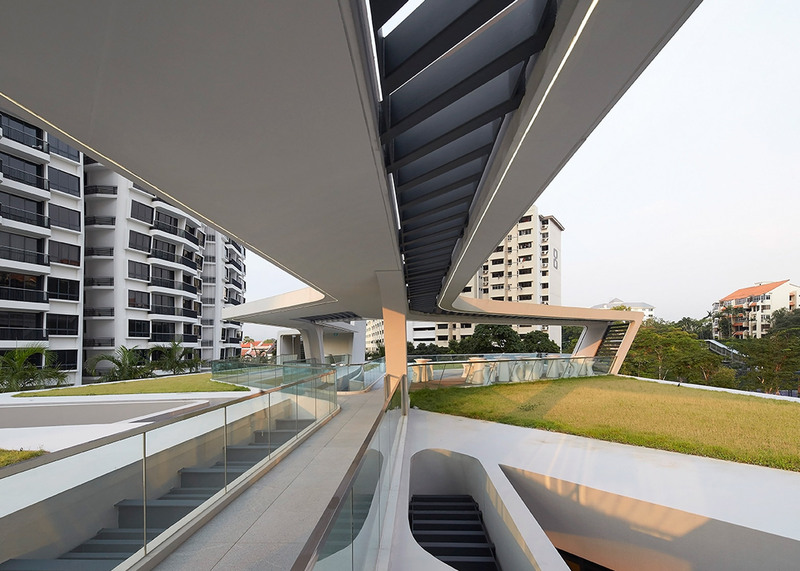 Since her death last month, architects from around the world have paid tribute. Norman Foster praised her "courage, conviction and tenacity", while Rem Koolhaas told Dezeen she was "a combination of beauty and strength". The firm announced this week it will continue to practice without its late founder and figurehead. 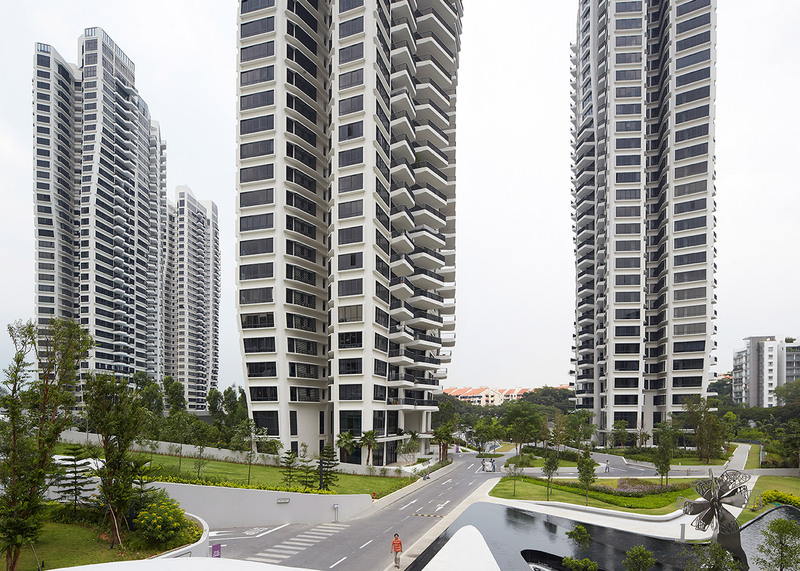 Quantity surveyor: Davis Langdon and Seah Singapore Pte Ltd.